Have you seen the Canadian version? Ahh Glasshopper, yes a very kind chap sent me a dvd loaded with images taken of the Bolingbroke in Canada, including lots of scale details and even using a measuring rule to help me discover how many errors I had made (too many so I gave up counting). This version will be in African RAF livery due to family connections as my father had flown, albeit as ballast rather than active crew. His diary recalls taking then so they could go swimming in the sea down the coast from where they were based. 3 years!! Cor blimey It's been 6 months since your last update....the tea's gone cold and the biscuits are stale, still , look forward to the continuation....kettle is on. Well finally made a start on the cowlings. 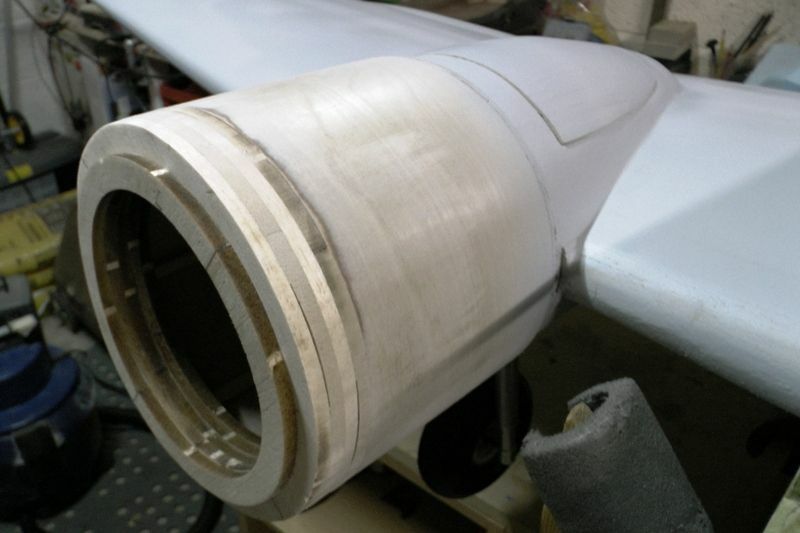 I had the formers cut some time back by Slec and use the technigue as per my Lockheed Vega design a couple of years ago. 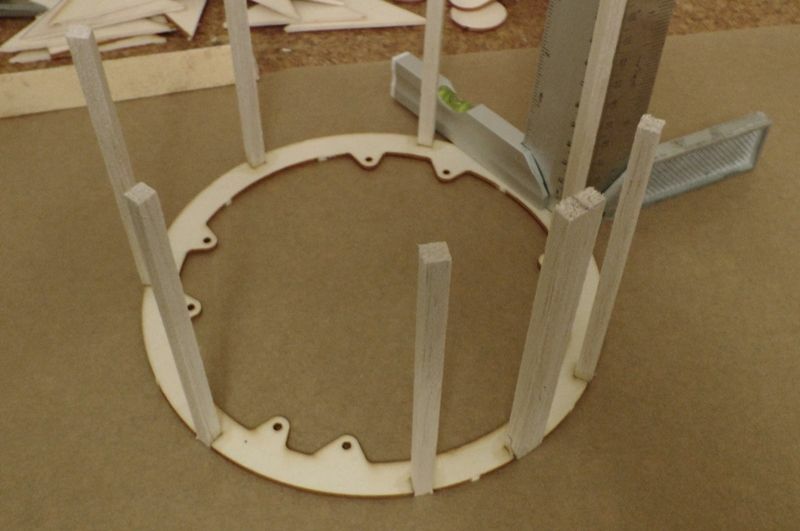 So I start with two ply rings with slots cut for 6mm square balsa around the perimeter, one cut out being double width wich will be the joint for a 1mm ply wrap later. 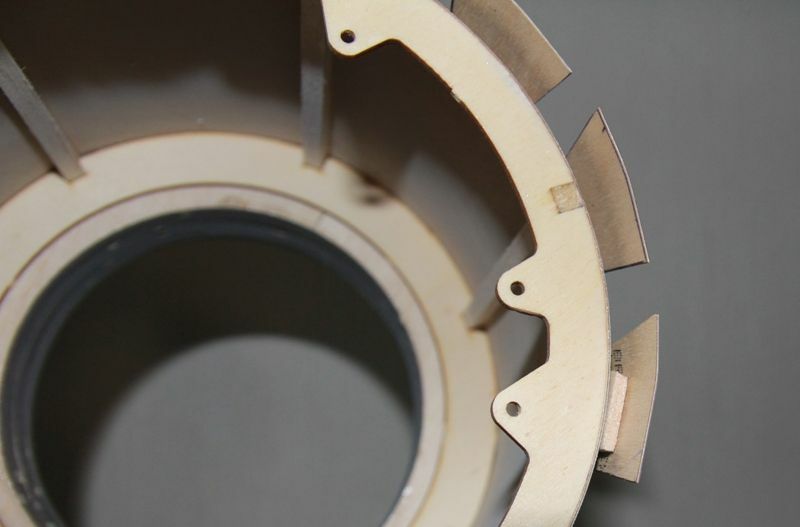 The inner ring has a detail with holes which aligns with the nacelles so the cowls can be screw fixed in place. 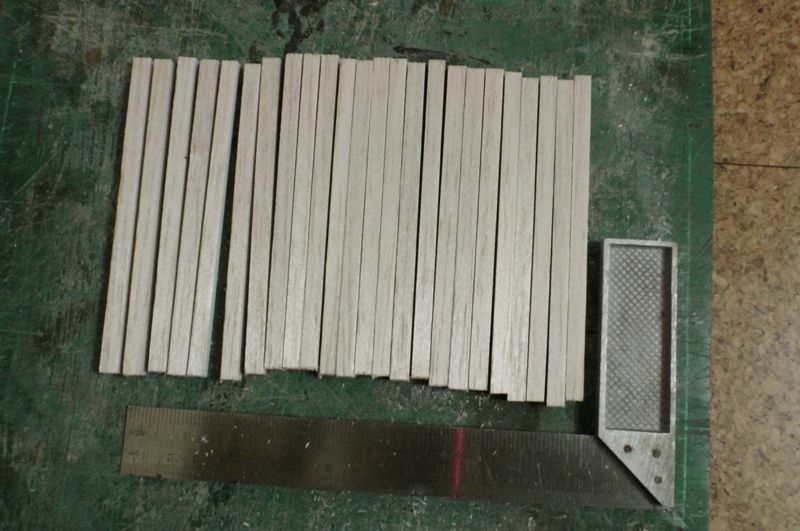 Next job is to cut a number of 6mm square balsa straights at 125mm long. 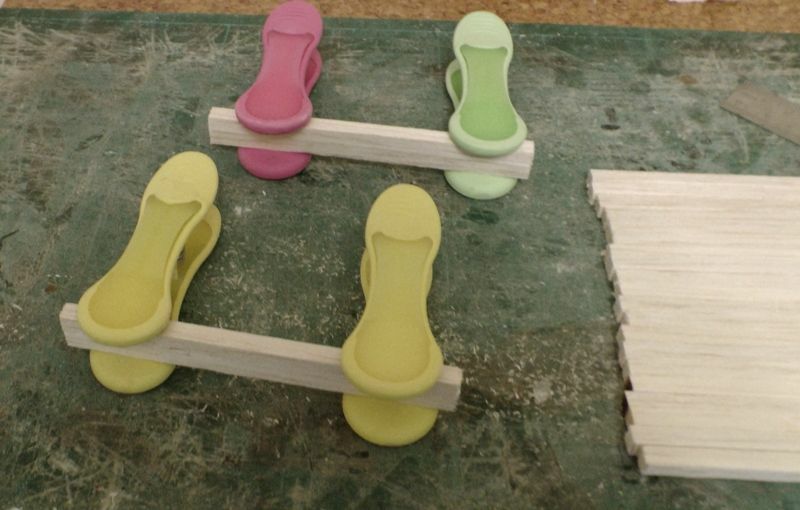 these need to be done with care to ensure all assembles squarely as possible. Next to make a double thickness I just glued two strips together but could just as easily have been a wider strip but was easier to cut all to the same size I thought. 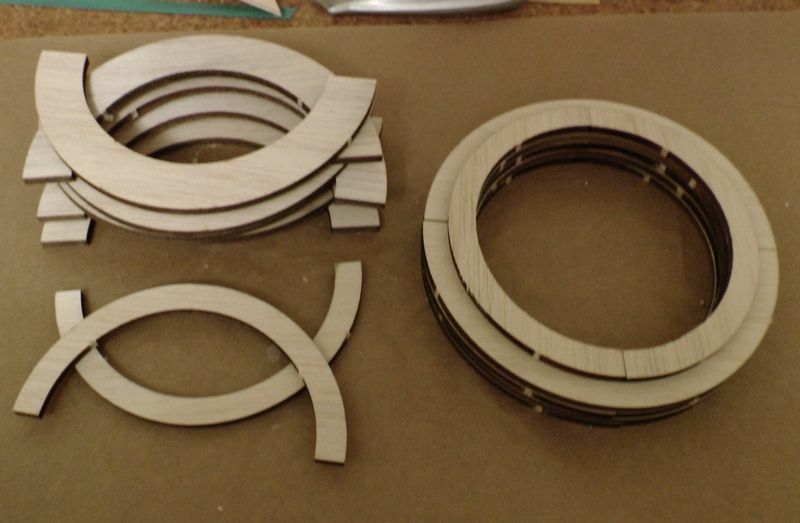 Bit more done this afternoon starting by measuring the circumference and cutting strips of 0.5mm ply to wrap around the cowl frames. 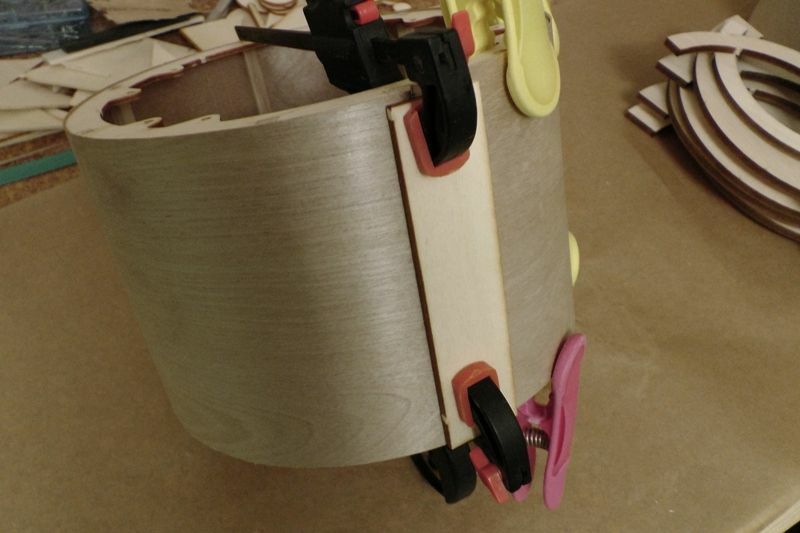 Started by gluing half way across the double strip and leaving to dry before gluing and wrapping the remainder and clamp with scrap of ply across the joint. 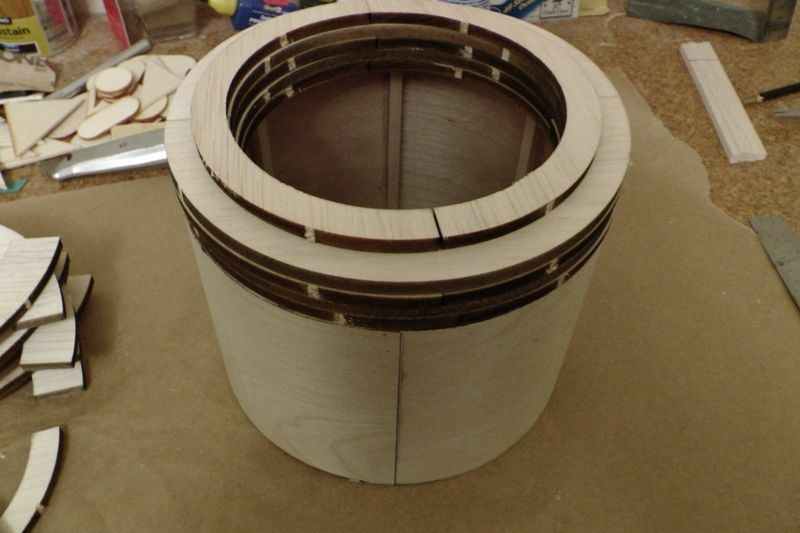 I used aliphatic to glue the ply in place. 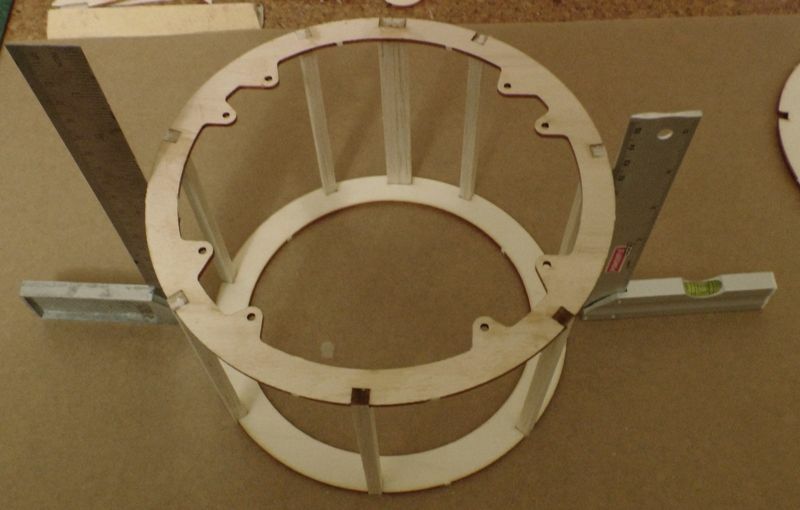 With the frames wrapped and put to one side I turned my attention to the front of the cowls which are made up from laminations of 6mm soft balsa. 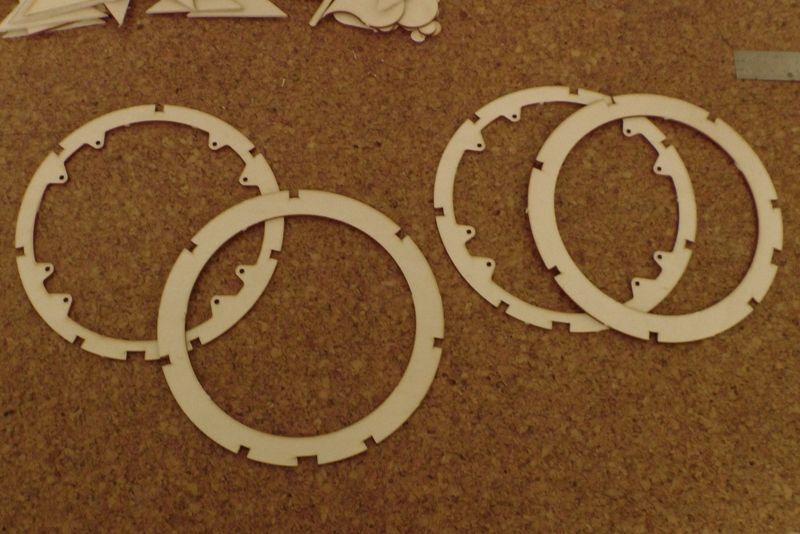 I had these laser cut so it was just a case of gluing all the bits together with aliphatic glue (this should help later when I come to sand to shape). 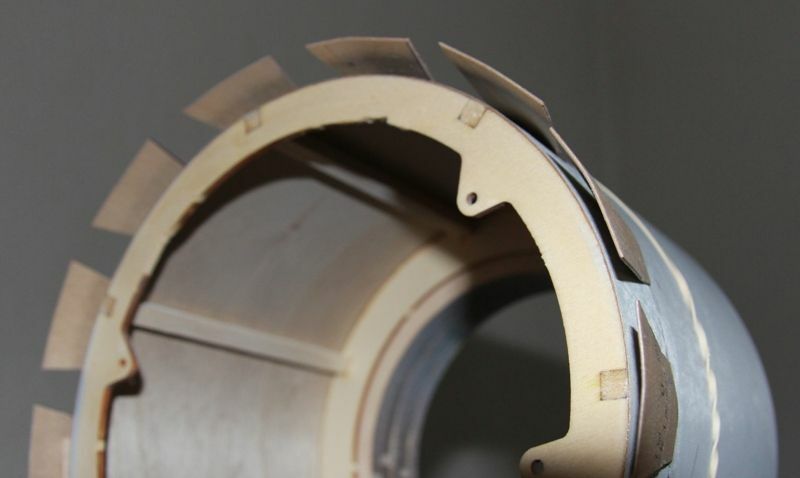 When dry the front section can be glued onto the front face of the cowl frame. Well a bit more work done today starting with getting the cowl mountings sorted, this was quite straight forward as I had given this some thought up front and lugs with holes were designed into the rear ring of the cowls that would align with the front formers of the nacelles but it was still satisfying to see all align and fix in place with self tapping screws just visible inside. These are sited such that I should be able to access around the motors and the intended dummy engines. 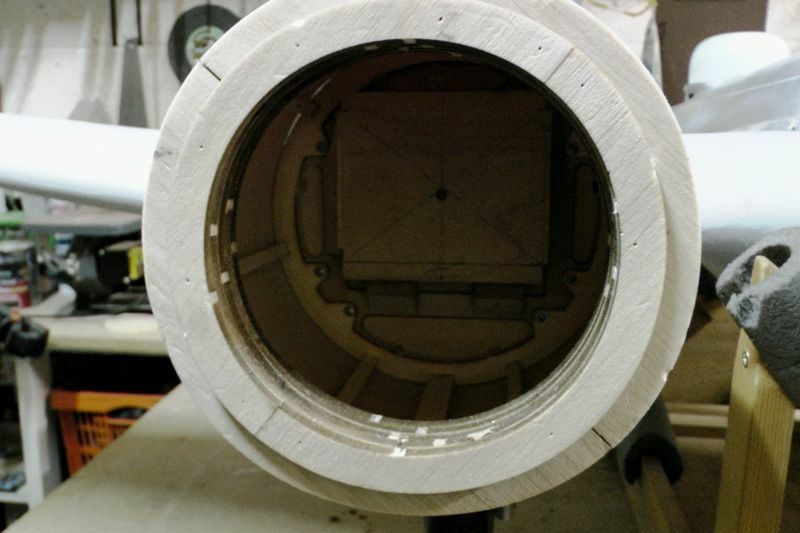 Next job is to carve and sand the front of the cowls to the radius profile and then take a look at the re vent fins and exhausts. 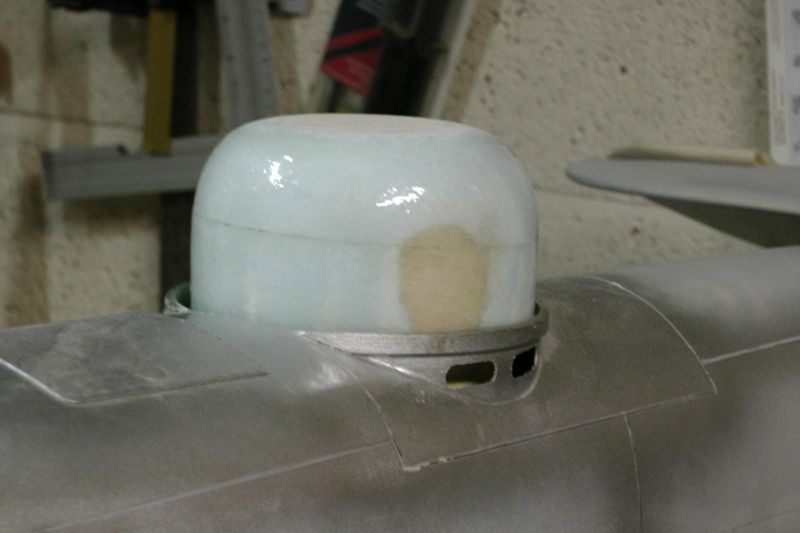 I also managed to finish and pull a mould for the rear turret shown here still on the mould made from blue foam, I use the 'Tim Hooper' technique of pushing the mould through a sheet of heated acetate and seems to work surprisingly well. I use fairy liquid as the release agent just sponged over the plug and left to dry for a bit before making the moulding. Thanks for the encouragement guys, not much to report from the weekends tasks which largely related to carving and sanding the front of the cowls to shape. Still a bit more sanding to do, taking my time to ensure the shape is correct and not have to pile on filler due to errors, once done I'll get some glass cloth down on the outside to stabilise the shape and give them some hanger rash protection before I start cutting away at the insides with a dremel sander to reduce the front cowl wall thickness and give space for dummy radial engines to be fitted. 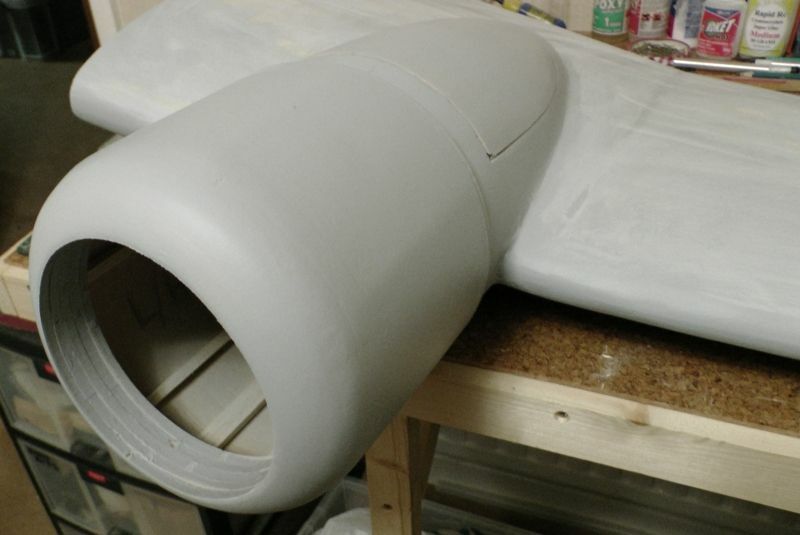 A bit more progress, cowl fronts have now been sanded to the round profile and given a coat of glass cloth with acrylic finishing resin, touch of filler here and there, sand and a coat of primer. 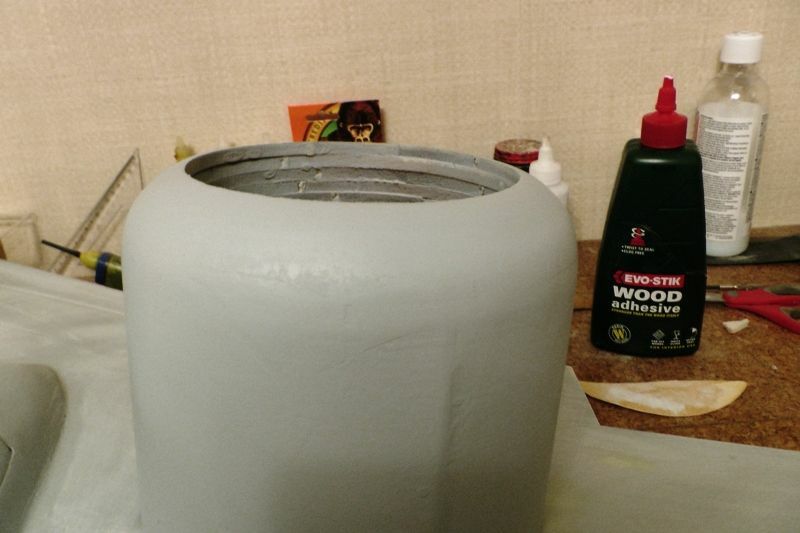 This needs sanding fill and final coat of primer but actually pretty close even on first coating which was pleasing, Still need to grind out the insides a little so that's probably the next job on the cowls before final coat I will fuel proof the insides with epoxy laminating resin. Still need to work out the fixings for the hatches but that should not be too difficult and at least every thing fits as it should. 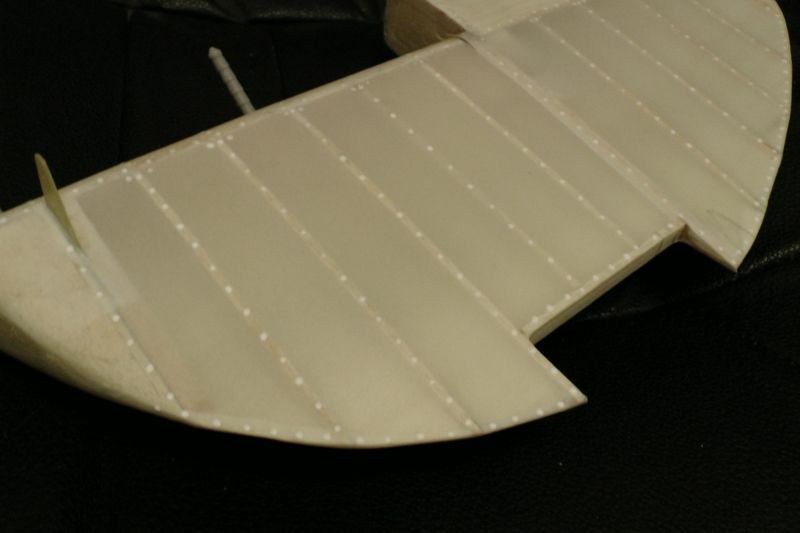 Also made a start on a bit of detailing on the rudder with the surface for rib stitching, looks like rivets at the moment but once the solartex strips go down over the top the effect seems to work quite well. 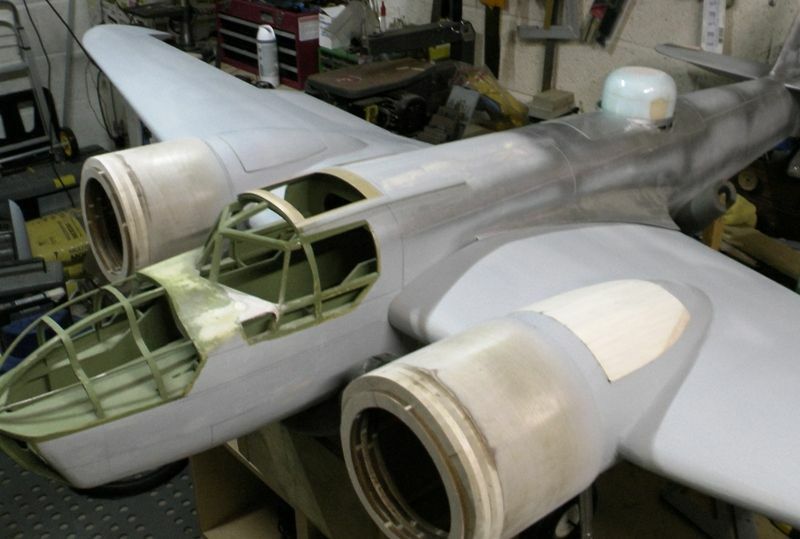 i been looking for a set of plans for the blenheim bomber would you consider either donating a set or could i purchase a set from you? Yikes over a year since an update but it still lives and the first of the two DLE20 engines has now been bolted in place. 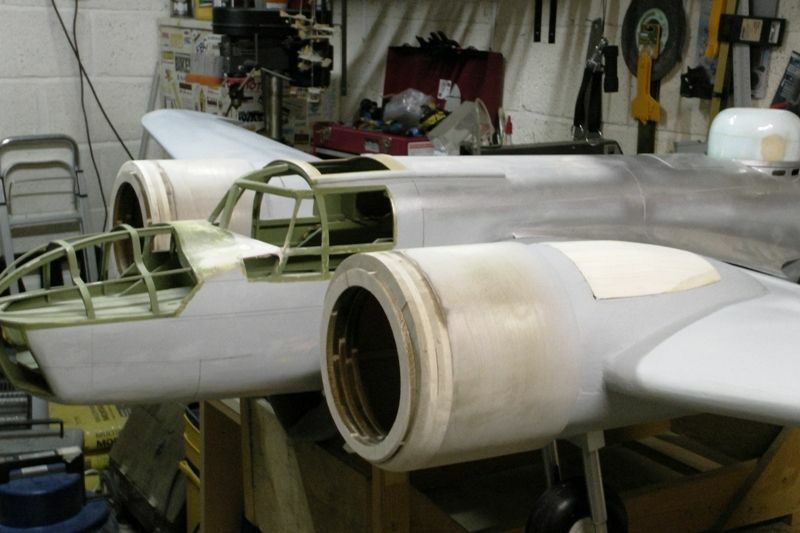 I plan to figure all the throttle linkages and tank positions on the first wing and then repeat for the second in mirror image so to speak. Its amazing even with a reasonably larger model how space starts to disappear once critical components start to go in. I will gets some more photo's updated before to long. I think this is my longest ever project now and its been difficult to sustain progress trying to fit it around other things that have had to take priority but I have made some slow progress in recent weeks at least. Well evidence of some work at last, actually more complex than it might look to create the fins around the edge of the cowls. As I am relying on a clearance to aid cooling the plates need to be set at an angle of about 3 degrees. 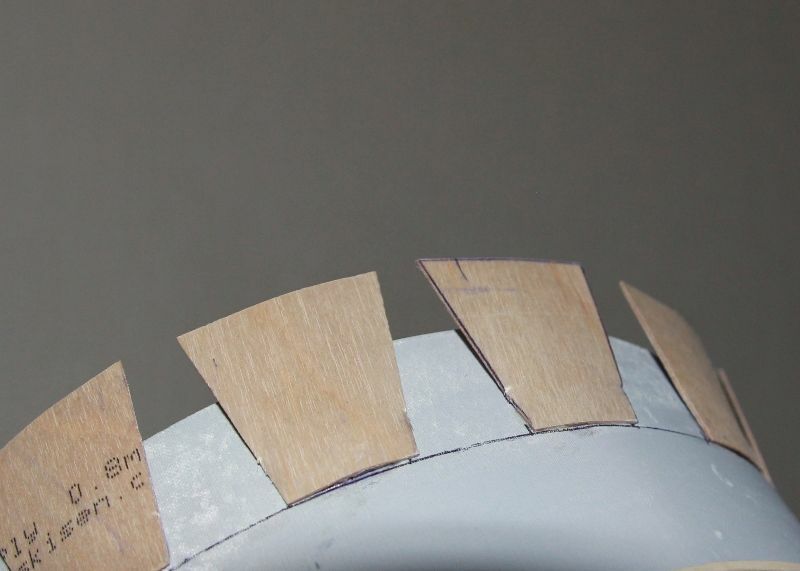 Fortunately this translated into a 3mm spacer but the down side was that each cowl required 28 trapezoidal plates to be glued in place around the circumference, each one being moistened and clamped to create a slight curve. 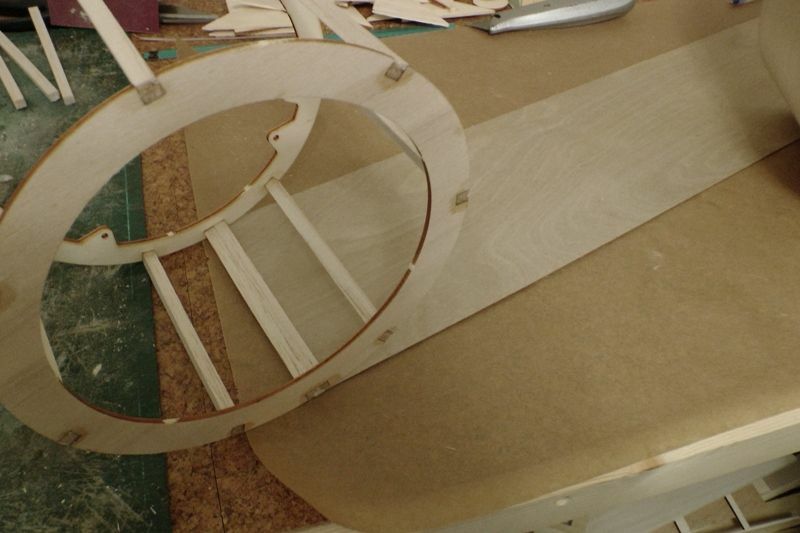 then marked out and glued in two rows, the second row overlapping the first to create the desired effect. The plates are made from 0.5 ply and equi-spaced around the cowl with a 7mm overhang and glued at the front edge with pva and taped till dry. Lets just say it took longer than planned, the second row of plates now goes on and overlaps the first so its a repeat of the process and there were two cowls to do. I'll photo when dry and then give them a coat of epoxy laminating resin on the outside and run a bead of epoxy and micro balloons into the inside gap to fix there position. So glad this job is nearly out of the way, just some blisters and panel details to follow.